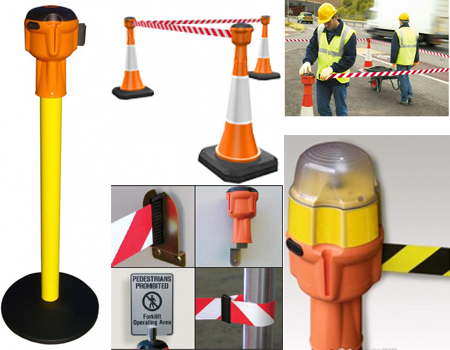 T-Top Bollards, Rubbermaid 6287 Portable Barricade System consists of: 6276, (1) belt cassette and (1) double weight ring, deluxe unit, roto light, fluoro traffic cone, collapsible safety cone, and skipper - cone mount 9 metre retractable barrier. 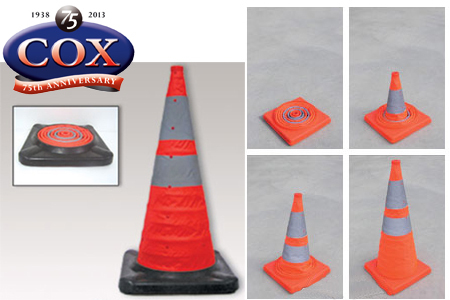 These Reflective cones are ideal for roadworks, civil engineering, schools and carparks etc. 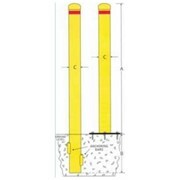 The 460 and 700mm models are a one piece construction which means they are very durable. 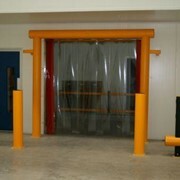 The 1 metre tall model is a two piece design with increased stability due to its 7kg base and large footprint. 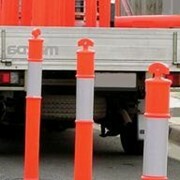 T Top Bollards have a wide 6kg base for increased stability even in high speed traffic or windy locations. 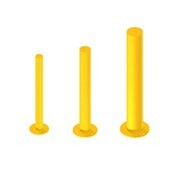 The blow moulded polyethylene bollard is easily seen due to its fluorescent orange colour and standard reflective bands. 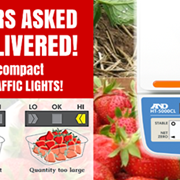 Available with two top configurations. The Only 9 Meter Belt on the market. 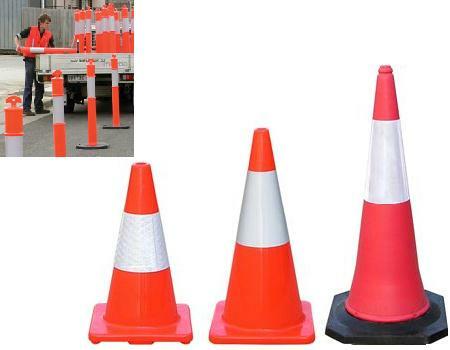 Fits standard 1 metre traffic cones. 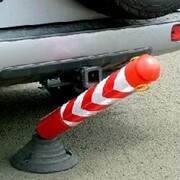 High visibility tape available in Red/White or Yellow/Black option. 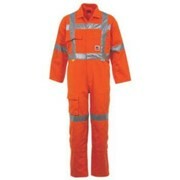 Made from tough ABS plastic with rubberized loops at each end and reflective bands for enhanced visibility.